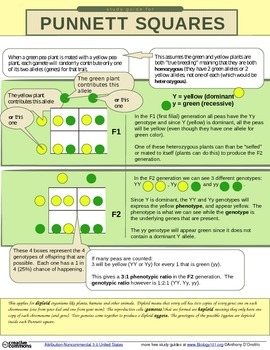 A colorful, one-page punnett square study guide. Covers fundamental concepts and keywords like dominant, recessive, phenotype and allele. This is in Word format so you can edit and share with students as you'd like.